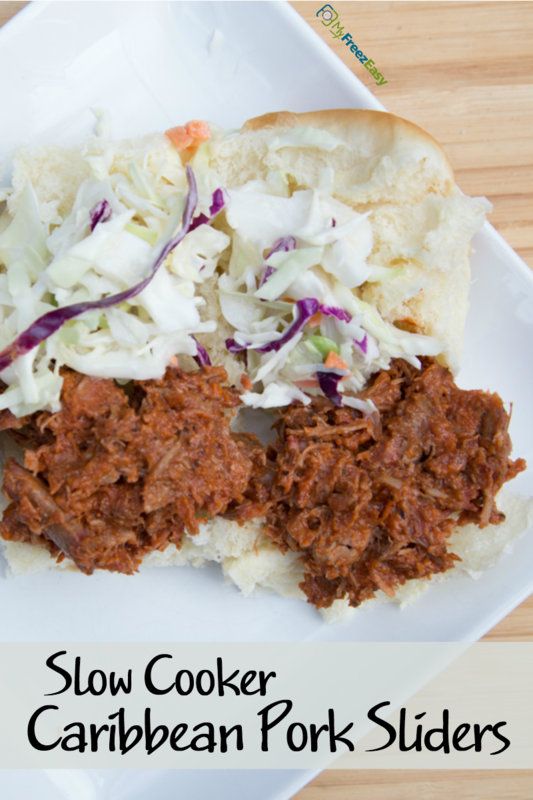 This pork just falls apart after slow cooking all day, and the flavor is wonderful! Place the pork roast into the base of the slow cooker. Season with salt and pepper, the minced onion, garlic powder, ground cumin and chipotle chili powder. Add the BBQ sauce over top. Pour 1 cup hot water around the pork into the base of the slow cooker. Set on low and cook for 8 hours. 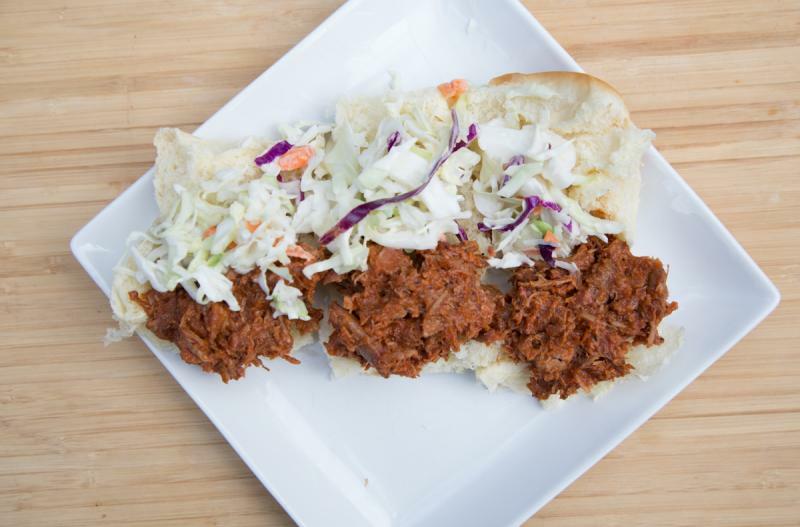 Once cooked, shred with 2 forks and place the shredded pork onto slider buns with coleslaw. Serve Caribbean Pork Sliders with fruit. Put baggie in the freezer and freeze up to 6 months in fridge freezer or 12 months in a deep freezer. Thaw in the fridge overnight, or a warm bowl of water for about 20 minutes, before transferring to slow cooker. Add 1 cup of hot water and cook on low for 8 hours. Recipe is gluten-free when served on gluten-free bread or buns. Thaw, add all ingredients to slow cooker with 1 cup hot water. Set on low and cook for 8 hours. Shred pork before assembling sliders. Serve with coleslaw and fruit.